He is one of the greatest ever living sportsmen, as well as the first athlete in history to earn a billion dollars. But for years now, this legendary golfer has been in the news for all the wrong reasons. In another blow to his already battered image Tiger Woods is arrested for drunk driving charges. This makes it the second time he's been arrested for his conduct behind the wheel of a car. The incident, like the previous one, occurred close to his home in Florida. A long history of woes. The drunk driving charge is the latest in a long line of incidents which have plagued the former world No 1 golfer. A public admission of mass infidelity years ago, had turned the life of the once revered role model upside down. Career hampering Back and knee injuries have also contributed greatly in ruining his once flawless career. 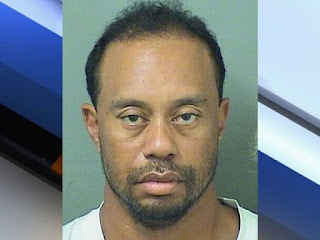 In a statement to the press, woods explained that he wasn't drunk at the time of his arrest, but was suffering from side effects of some prescribed medication. Unfortunately, a large majority of the public now have little trust in the word of the once invincible athlete. The 14 time major championship title winner who once held the World No. 1 spot for 683 weeks, is now currently ranked World No. 876.